Petroleum Hose - Petroleum Transfer Hose from JGB - Curb Pump Hose, Lightweight Gravity Drop Hose, Corrugated Rubber Drop Hose, Fuel Oil Delivery Hose, Lightweight Gravity Drop Hose - JGB Enterprises, Inc.
JGB Enterprises is your one stop Petroleum Hose supplier. No matter what your application is, we can readily provide a quality hose when you need it. We have supplied Petroleum Hoses for Industry, Commercial, and Military applications worldwide. The quality products that we use, with the quality standards that we meet, ensures us of return business from our customers. So, now that you know about us, just click on the Petroleum Hose links for a quality petroleum hose product, at the best price and the most reliable delivery. A Petroleum Hose for use in tank truck, bulk petroleum stations, and in-plant oil service. The tube is oil resistant conductive Nitrile (NBR). The cover is abrasion, ozone, weather, heat and oil resistant neoprene rubber. This tank truck hose is reinforced with synthetic textile and twin helix wire. A corrugated Petroleum Hose designed for the suction and discharge applications in truck and tank car transfer of gasoline, oil and other petroleum-based products with up to 50% aromatic content. The tube is oil resistant conductive Nitrile (NBR). The cover is abrasion, ozone and hydrocarbon resistant. This tank truck hose is reinforced with high tensile textile cord and a double steel helix. A flexible polyurethane (TPU) tank truck Gravity Drop Fuel Transfer Hose reinforced with polyester fabric and a rigid PVC helix. It contains a durable multi-strand copper grounding wire embedded for safety. This petroleum hose is specially designed to handle gasoline, ethanol (Meeting ASTM D5798, D4806 or D6751 criteria), diesel and biodiesel (Meeting ASTM D5798, D4806 or D6751 criteria). This tank truck hose maintains superior flexibility even in sub-zero weather, and is much lighter than conventional TPR/rubber hoses. It has clear “See-the-flow” side wall construction for visual confirmation the fuel is flowing. A Petroleum Hose designed to deliver gasoline, diesel fuel, kerosene and fuels with aromatic content up to 40%. This tank truck hose is up to 50% lighter than conventional rubber hose and can handle higher transfer pressures. The rigid PVC helix with “Go Glide” makes this hose easy to drag. It features a Safety Ohm ground wire embedded into the hose wall to help prevent the build-up of static electricity. The wire must be secured to ground to dissipate static electricity. This corrugated Petroleum Hose is designed for suction and discharge applications in truck and tank car transfer of gasoline, oil and other petroleum-based products with up to 50% aromatic content. It is for use where extreme flexibility is needed in low temperature. The tube is black conductive oil resistant Nitrile (NBR), and the blue cover is abrasion, ozone and hydrocarbon resistant. It is reinforced with high tensile textile cords and a highly flexible steel helix. This tank truck hose can handle temperatures as low as -65°F (-54°C)! This JGB Petroleum Hose Assembly is designed for oil and water suction and delivery service. It is hydro-tested at 1.5 times working pressure following U.S.C.G. certification standards. The couplings on this Oil Suction and Discharge Hose assembly are built-in pipe flanges fixed x floating (ANSI B16.5). The tube is oil and fuel resistant conductive nitrile (NBR) designed for use with up to 50% aromatics. The cover is oil, weather and ozone resistant, cloth impression synthetic rubber. It is reinforced with multiple high tensile synthetic tire cords (polyester cords) with a steel wire helix. This composite Petroleum Hose is for handling the suction and discharge of gasoline, diesel fuel, paraffin, kerosene, lubricating oils, 100% aromatics, black oils and heavy lubricants and solvents. The petroleum hose assembly is ideal for loading and unloading barges, ocean tankers and bunkering services, and other dockside operations. The composite hose carcass is constructed of multiple layers of polypropylene fabric, film and polyester barrier layers. The cover is abrasion resistant PVC impregnated fabric. It is reinforced with high tensile strength galvanized inner and outer wire. This tough PVC outer cover is resistant to dragging wear, abrasion, UV and ozone. Electrical continuity is achieved by the two wires bonded to the end fitting. This helps dissipate accumulated charge and avoids static flash. Farm Pump Hose / Gravity Tank Fuel Hose is designed for low pressure gravity flow dispensing or transfer of refined fuels such as biodiesel (to B20 in dedicated service), diesel, ethanol, gasoline and oil from drums, gravity feed farm pumps, hand pumps, skid tanks and storage tanks where Underwriters Laboratories (UL) listing is not required. The softwall construction incorporates multiple textile plies of reinforcement for flexibility. The cover is resistant to abrasion, oil and ozone. Dispensing of all types of commercial gasolines, or other petroleum based products, from service station pumps. A heavy duty Hardwall Curb Pump Hose which does not collapse in reel use or behind the nozzle in heavy duty service. This Curb Pump Hose is available in shorter lengths as Whip hose - Breakaway. This Co-ax Vapor Recovery Petroleum Hose is for Stage II Vacuum Assist Systems where a pump in the dispenser pulls the gasoline vapors away from the vehicle fill pipe during fueling. The wire-braid construction for the fuel hose provides excellent kink resistance, low computer creep and long service life. Flexsteel® Futura™ Vapor Assist Hose is UL 330 approved. Maxxim™ Premier Plus Petroleum Hose incorporates a Venturi pump in the protected confines of the inner fuel hose coupling to keep the vapor path open in the outer hose. 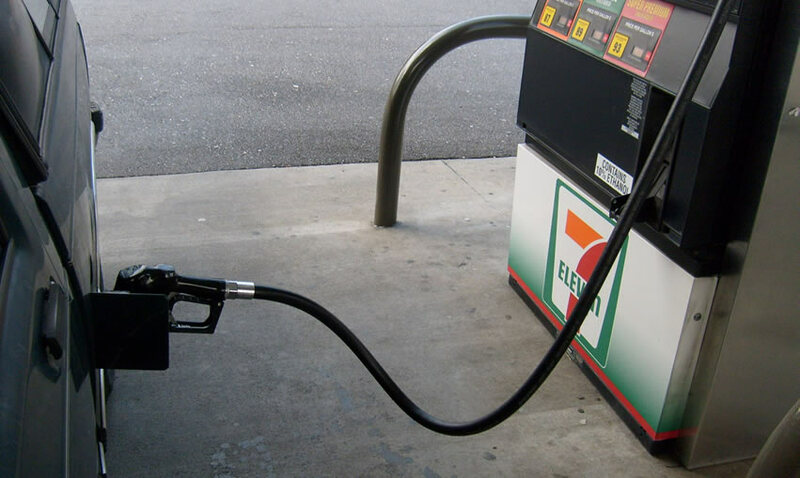 As gasoline flows through the Venturi pump, gasoline accumulating in the bottom loop of the vapor hose is collected and returned to the fuel hose. Maxxim Premier Plus Petroleum Hose is C.A.R.B., EVR and UL 330 approved. Maxxim™ Premier Petroleum Hose is for Stage II Balance Systems where the gasoline vapors from the fill pipe are pushed back through the outer hose. The outer vapor hose has a textile-reinforced thermoplastic layer over a wire helix. The textile-reinforced thermoplastic cover has maximum puncture resistance, stable dimensions and long service life. The wire braid construction for the fuel hose provides excellent kink resistance and low computer creep. Maxxim™ Premier Hose is C.A.R.B. and UL 330 approved. Tank Truck Drop Hose with static grounding wire; 50% lighter than conventional rubber hose. This lightweight and flexible gasoline tank truck gravity drop Petroleum Hose is for such items as: naphtha, kerosene, light and heavy oil, diesel up to 15% ethanol mixture. This Gravity Drop Hose / Tank Truck Hose is not for Biodiesel. This Petroleum Hose is engineered with NBR tube & cover for the pressure, gravity flow or suction movement of gasoline and petroleum based products with an aromatic content not to exceed 50%. This tank truck hose is manufactured to offer - Extra Durability and Abrasion resistance; High Resistance to gasoline and natural elements such as ozone weather cracking; Light weight for ease of handling; Includes a static conductive tube and copper static wire. 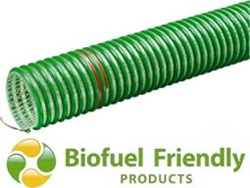 This lightweight, flexible, and durable Petroleum Hose is a revolutionary fuel transfer hose specially engineered to resist the added strain caused by the ever-widening market use of the new high-percentage blends of biofuels - ethanol and biodiesel - while maintaining superior reliability transferring traditional petroleum based fuels - gasoline and diesel. This tank truck hose is engineered for Tank truck gravity drop and Terminal fuel transfer applications. This Petroleum Drop Hose is a transfer hose for gasoline, a wide range of oils and chemicals and petroleum based products. This petroleum transfer hose is made from special rubber compounds that produce an exceptional lightweight and flexible hose for use in temperatures down to -40°F (-40°C). Rated at full vacuum (30"Hg), Flex-Devil Petroleum Drop Hose is compatible with gasoline grades up to 50% aromatic content and MRBE/unleaded blends up to 15% MTBE. This tank truck hose accepts a range of coupling types: swaged crimped, internally expanded or banded shank. This Petroleum Hose is for the transfer of ethanol blends, gasoline and other petroleum-based products under pressure, gravity flow or full-suction where maximum flexibility is needed. This petroleum transfer hose has high oil resistance (RMA Class A). This Petroleum Hose is for the transfer of refined fuels (commercial gasoline and diesel fuel), oils and other petroleum products. This Petroleum Drop Hose is ideal for oilfield service truck use. Service life of transfer hoses can be extended by draining hoses after use. 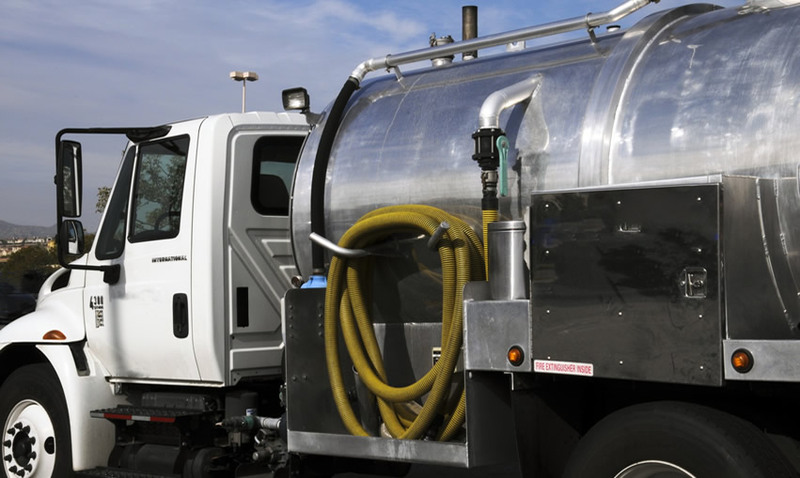 Petroleum Transfer Hoses may be used with all grades of bio-diesel only if the exposure is intermittent and the hose is drained between uses. This Petroleum Transfer Hose is for the transfer and blending of petroleum products. Transfer of petroleum crude oil. Loading or unloading, pumping, suction, or gravity flow discharge. This corrugated hose is flexible and easy to handle. This Petroleum Hose is the Gasoline vapor recovery hose. Gasoline vapor recovery only, not for use with petroleum liquids. Nitrile rubber, rigid PVC helix, smooth bore, corrugated O.D., static grounding wire. Redwing® Fuel Oil Delivery Hose is for transfer and delivery of fuel oil and petroleum products for home delivery, commercial and industrial service. Redwing Fuel Oil Oil Delivery Hose has two textile braids. The braided construction reduces kinking and twisting when reeling. The smooth cover has low drag resistance. This Petroleum Hose is recommended for transferring fuel oils, diesel fuel or commercial gasolines in applications at temperatures as low as -40°F (-40°C). It is compatible with bio-diesel fuels up to B20. 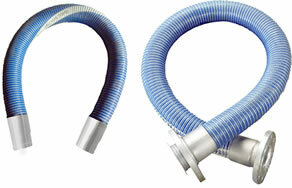 This fuel delivery hose will remain flexible to -20°F (-29°C). It is good for home and heavy-duty commercial service where an abrasion resistant and a non-marking cover is required. This Hot Tar & Asphalt Petroleum Hose is used when temperature extremes, corrosive media, or permeation preclude the use of rubber, PTFE, or plastic hose. For use in steel making, chemical processing, paper manufacturing, petroleum refining, and in many other industrial applications. This Hot Tar & Asphalt Petroleum Hose is for the suction and discharge of asphalt and tar in buildings, mobile machinery and equipment such as pavers, rail transfer, and vehicles that pick-up and deliver tar and asphalt. This Hot Tar and Asphalt Hose has fiberglass reinforcement and can be used in more diverse applications than competitive products because it can handle higher temperatures (350ºF, 400ºF intermittent) and pressures (200 psi). This Hot Tar Pumping Petroleum Hose is for conveying hot tar and asphalt in road projects. This Hot Tar Pumping Petroleum Hose is also for conveying hot tar for roof construction. 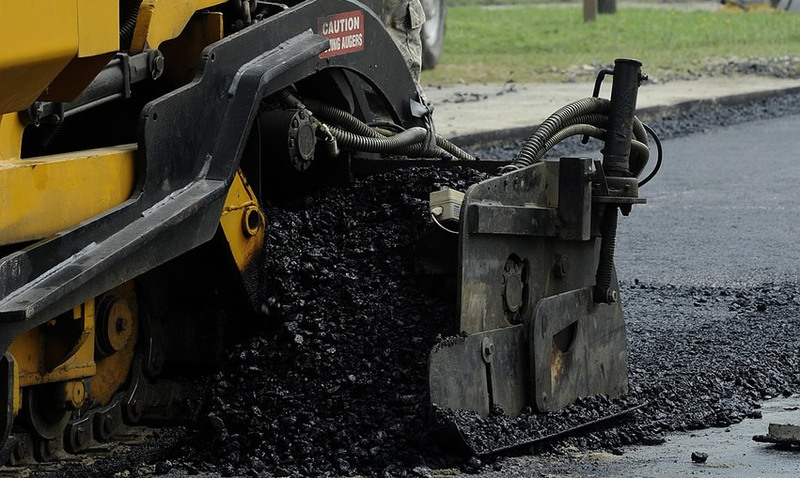 It is abrasion, oil, heat, and weather resistant and handles intermittent temperatures of hot tar up to 400ºF. TAR & ASPHALT (Roughbore) Petroleum Hose is Hose Master’s heavy-weight interlocked metal hose. Constructed from a single strip of galvanized steel with Hose Master's proprietary packing, this metal hose is used for transferring high-temperature, viscous fluids. Tar & Asphalt hose is leak-resistant and handles maximum suction. This petroleum hose is design-tested to 100 psi and has a temperature range of -40º F. to 500º F.
Series 7132 is a flexible, lightweight liquefied petroleum gas (LPG)/propane Delivery and Transfer Hose. This Liquid Propane Hose meets all Underwriters Laboratories (UL21) and Canadian Gas Association (CGA Type I) requirements. The construction incorporates multiple textile plies of reinforcement for flexibility and kink resistance. The perforated cover is resistant to mild chemicals, oil and ozone. Series 7132 is available in long lengths on reels, long cut lengths and factory-tested assemblies from stock in popular configurations. This Liquid Propane hose is suitable for bobtail delivery, grills & cookers, or heaters. Liquid or gaseous propane, butane or any combination of these two mixtures. This Liquid Propane Hose can be used for natural gas (not to exceed 50 psi) under certain conditions such as: open/outside areas and well ventilated factory buildings (if local building codes permit). Series 7231 is a large diameter, extremely durable liquefied petroleum gas (LPG)/propane transfer hose for bulk loading/unloading and vibration-resistant onboard vehicle connections. This Liquid Propane Hose meets all Underwriters Laboratories (UL21) requirements and Canadian Gas Association (CGA Type I) requirements. The construction incorporates high tensile corrosion resistant stainless steel braided reinforcement for superior strength, durability and kink resistance. The perforated hose cover is resistant to mild chemicals, oil and ozone. Series 7231 is available in long lengths and factory-tested assemblies in popular configurations. Applications for this petroleum hose include bulk loading and unloading of liquid propane gas, and in-plant tank transfer. It is also suitable for use in petrochemical refineries. Type 75 Butane-Propane hose is specifically designed for transferring liquefied propane gas from bulk storage tank cars or cylinders or from bobtails trucks to home storage tanks. The black hose cover on the Type 75 hose resists oil, snagging and abrasion. This hose has been pin-pricked to permit gas diffusion. The Liquid Propane Hose is smooth, making it a drivers' choice. Polar-Flex Hose is a cold weather hose specifically engineered for use in transferring liquefied petroleum gases at peak efficiency even in extreme sub-zero temperatures. Polar-Flex Butane-Propane Thermocure Hose is ideal for moving propane or butane from bulk storage to tank cars or cylinders or from bobtails trucks to residential home storage tanks. *Hoses are tagged, tested, and serialized to the DOT specification with an HTR report. Advantage® Aircraft Fueling Hose is for over and under the wing fueling of commercial and private aircraft. 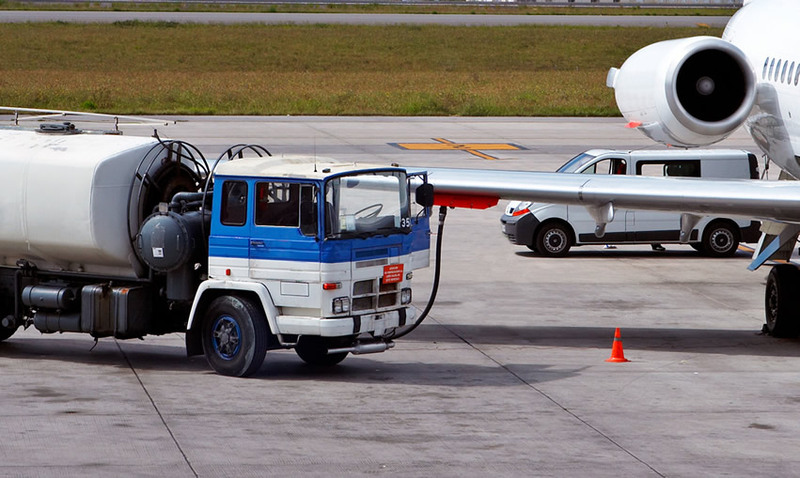 This Aircraft Fueling Hose handles jet fuel and av-gas up to 50% aromatic content. Custom lengths are available for this hose. Jet Ranger Petroleum Hose is used in the fueling and defueling of commercial and private aircraft. This Aircraft Fueling Hose is resistant to jet fuel and higher aromatic aviation gasolines. It is also for use on hydrant service. Meets both API 1529–6th edition, 2005 and European Standard BS EN 1361; 2004. Wingcraft Petroleum Hose is for fueling or defueling commercial and private aircraft. This Aircraft Fueling Hose handles jet fuel and the higher aromatic aviation gasolines. Its high working pressure permits use in fuel cart hydrant service. This Aircraft Refueling Hose meets API Bulletin 1529–6th edition, 2005 and N.F.P.A. Bulletin #407 (2007 revision). JGB is here to help. Our Engineering, Technical, and Manufacturing staff will determine what to use in meeting your, gas, fuel, diesel, and aviation suction and pressure application hose needs. The materials and hardware we use to construct your hose are name brands, such as Dayco, Gates, Goodyear...and the list goes on. We have been supplying hoses to the military for distribution, shipping transfer, recovery, and into plane fueling. With over $3 million in inventory, we can often ship your hose as soon as we receive your order. JGB's loyal clientele know from experience that their hose needs will be met by us. Performance and product quality is the cornerstone of our success.